Marva Collins-Bush the Earth Mother Divine Sage is a Life Coach, Certified Metaphysical Practitioner, and an ARTbundance™ Coach and Practitioner. An ARTbundance™ Coach and Practitioner is a unique hybrid of inspiring coach, creativity teacher, workshop leader, and spiritual guide. This unique training allows me to greatly assist clients in accessing and using their creativity in powerful ways to catalyze greater awareness, joy, prosperity, and meaning in life. ​Know you not that you are divine? 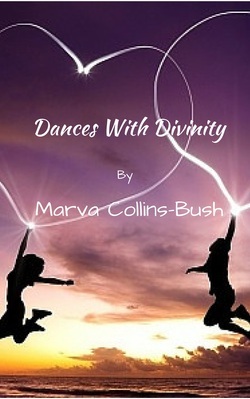 Dances With Divinity - Finding your own divinity, and looking within using a creative energetic approach of dance steps that everyone can relate to. A gentle nonthreatening way to reach into yourself and meet your highest divine self.. Yours FREE. Sign in to your right to get your link to this gift.